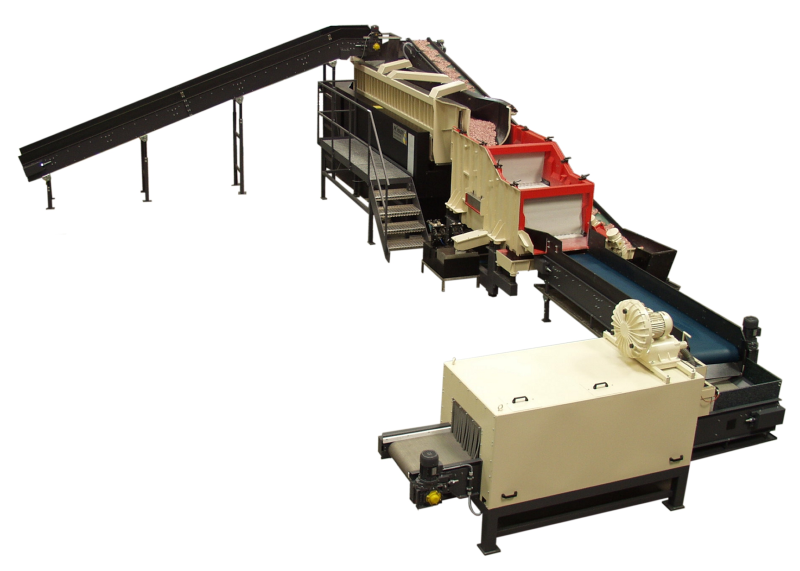 This process is a surface treatment process working on a chemical-mechanical base. 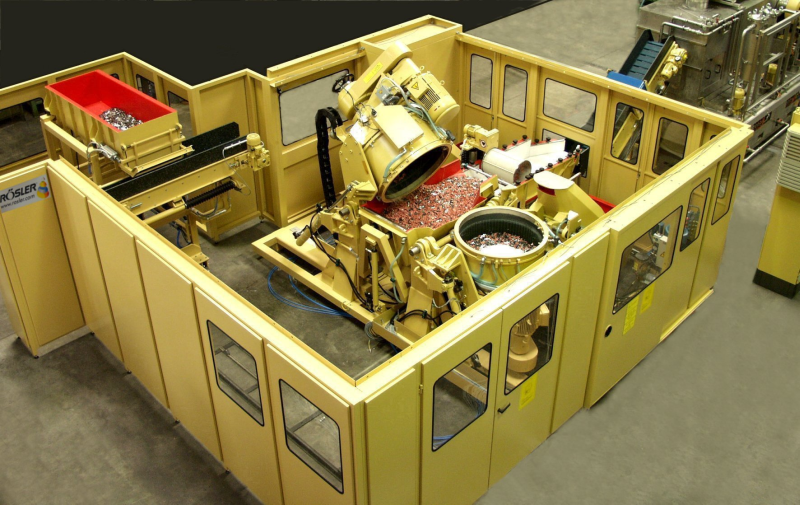 Chips and workpieces are brought into a relative movement to each other in the machine working vessel where water and compounds control the required surface treatment. The metal removal, finish and surface roughness depend on the composition and size of the chip, while the mechanical factors determine the specific grinding pressure on the workpiece. The trough-shaped vessel is hinged freerunning and is oscillated by a vibration stimulator. To achieve the optimum slide grinding treatment, suitable optimum special chips were developed for different materials and treatment processes. 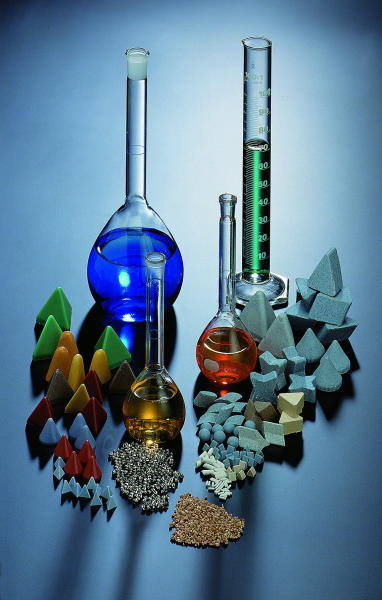 Today, mostly ceramic- or plastic-bonded articles are used which are available in various sizes and shapes (Figure 1). Regarding quality, the chips vary in terms of their specific weight, hardness and structural characteristics. Depending on their physical properties, they are used for grinding, smoothing or polishing. Large chips (20 - 35mm) remove a large amount of material and are therefore used for rough treatments such as to remove rust or destale. 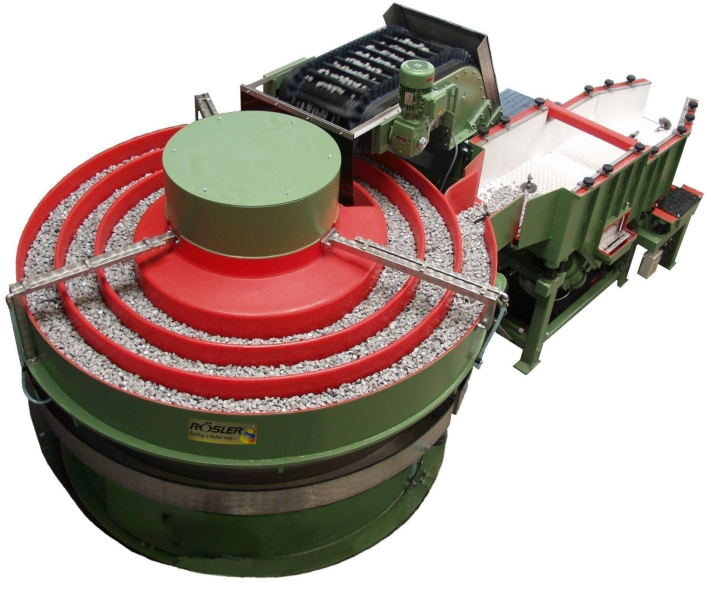 Chips in the size of 10 - 20mm are used for deburring, fine grinding and smoothing, while a very small grain (3 - 10mm) is required for proper polishing. 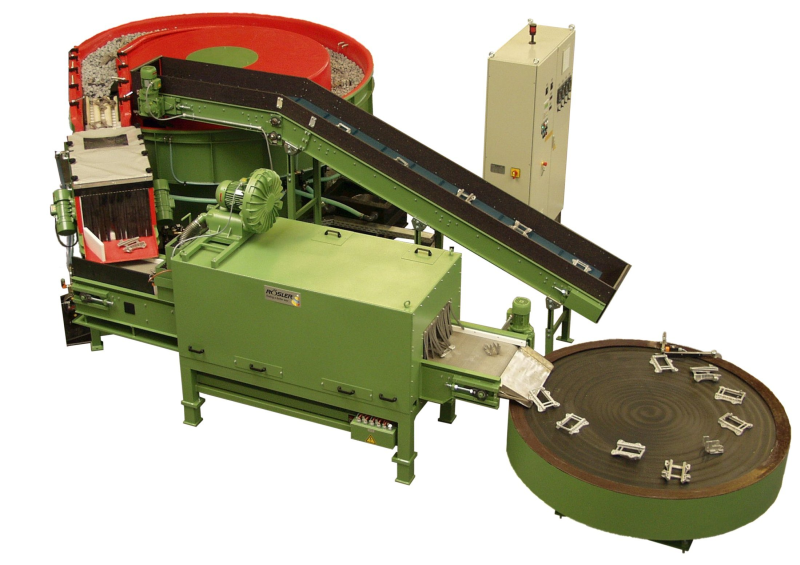 Slide grinding has proved to be an especially rational form to treat surfaces. 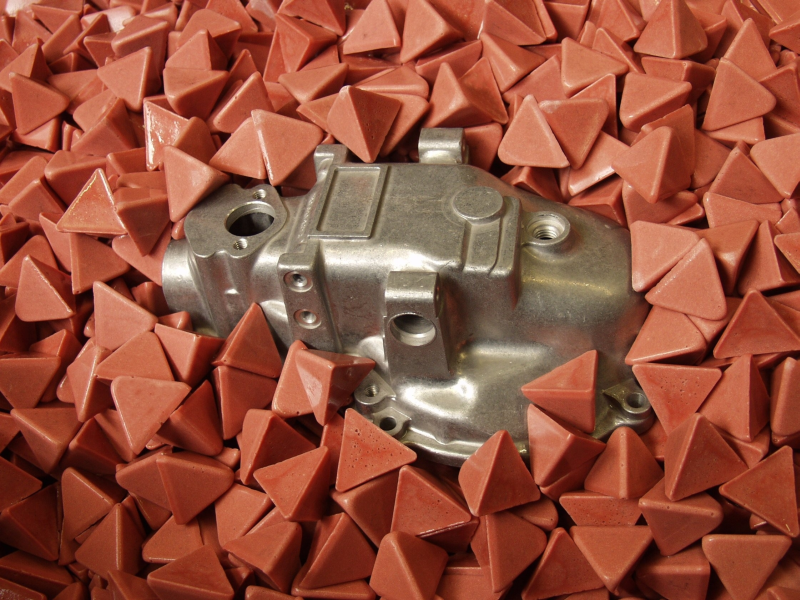 Thanks to innovative developments by different manufacturers, today it plays an important role in the construction process especially in die casting where it is predominantly used to debur die casting products (Fig. 2).